How Can I Go A.D. Alvarez DDS, Inc.? 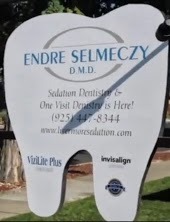 Where is A.D. Alvarez DDS, Inc. in Livermore on the Map? Categories of A.D. Alvarez DDS, Inc. Reviews for A.D. Alvarez DDS, Inc.
Not many of would say we love going to the dentist. However, if you are looking for a great dentist and staff, I highly recommend Dr. Alvarez. When I look for a dentist, I want straightforward, prudent advice. I also appreciate someone taking extra care when administering anesthetics. His dental hygienists and assistants are first rate. Tony has been my dentist for at least 15 years and I do not look forward to the day he retires! I have been going to Dr. Alvarez for more than 25 years. I have always been impressed with with professionalism, depth of knowledge and how he always keeps up with the latest in dentistry. Both my children (now 25 and 29) have gone to him all of their lives and neither of have ever had any cavities! 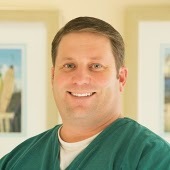 The office staff is amazing and the hygienists are personable and knowledgeable. I have been going to Dr. Alvarez for just under year and he is the best dentist I have had in over 10 years! I have had horrible experiences in the past with several dentists, and as a a result stopped going altogether in my early 20's. I finally had some tooth pain and went to a recommended dentist in town; he filled a cavity for me, told me I had a ton of work that would need to be done in the next year and sent me on my way. I later received the bill and it was over double what I was quoted. To top that off I still has some pain and less than a year later the filling fell out! 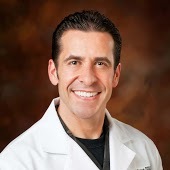 A friend recommended Dr. Alvarez at that time; when I called (in pain) his staff was able to get me in right away. The staff was very kind and helpful, went slow and made sure I was comfortable the whole time (which is great since I was a little frightened and wary). Dr Alvarez took the time to talk to me and explain every aspect of the care I would and the care I would/t need. He went tooth by tooth and showed me that I needed that faulty filling replaced, but also showed me that my childhood dentist did an excellent job and that those fillings were perfectly fine and did not need to be replaced for anything but aesthetic preference. When it was time to have the fillings done he went slow, explained the process as he went, and made sure I was comfortable the entire time, he even waited for the anesthetic to take full effect instead of rushing in to start working. I have had zero problems with any of the work I have had done here, and no pain either, in fact I have less pain after a filling than I ever did before (and I've had a lot of fillings!) The prices are very fair and exactly what I was quoted. I love that the doctor and the staff take time to focus on the patient, they are very caring, professional and do quality work. Dr. Alvarez is honest and will never prescribe more work than is needed. I will send anyone to this office, a really great place to get care! I have been going to Dr. Alvarez for about 20 yrs. I trust him and his staff. Everyone is always cheerful and professional. I hate to think of finding another DDS when Dr.Alvarez decides to retire! Thank you for all you do. My Family have been patients of Dr Alvarez for 20+ years. My daughter as a young child had a terrible experience with a Pediatric Dentist. Dr Alvarez had her come visit his office several times without actually getting in a chair. She overcame her fear and loved going to see "Dr Tony" from then on, she is now 24 and still comes back to the Bay Area for her Dental cleanings/visits. The hygenist's and staff are very friendly and treat you like Family.. They have a great hometown feel to their office.